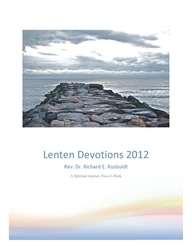 January 1, 2012 - For the seventh year in a row, Spiritual Journey Press is pleased to publish an e-book of Lenten Devotions written by Dr. Richard E. Rusbuldt, a distinguished religious author and American Baptist national and regional leader. In 2012, the e-book is available in both English and Spanish editions. Click the links below to download the books, at no charge. Making Friends, Making Disciples is now in Amazon's Kindle Format! Looking to read Dr. Spitzer's newest book on your computer, iPad or iPhone? The go to this link and purchase it through Amazon.com for just $9.99!